Nothing brings a person to his or her knees like a dental emergency - be it an infection, a lost filling, or fractured tooth. 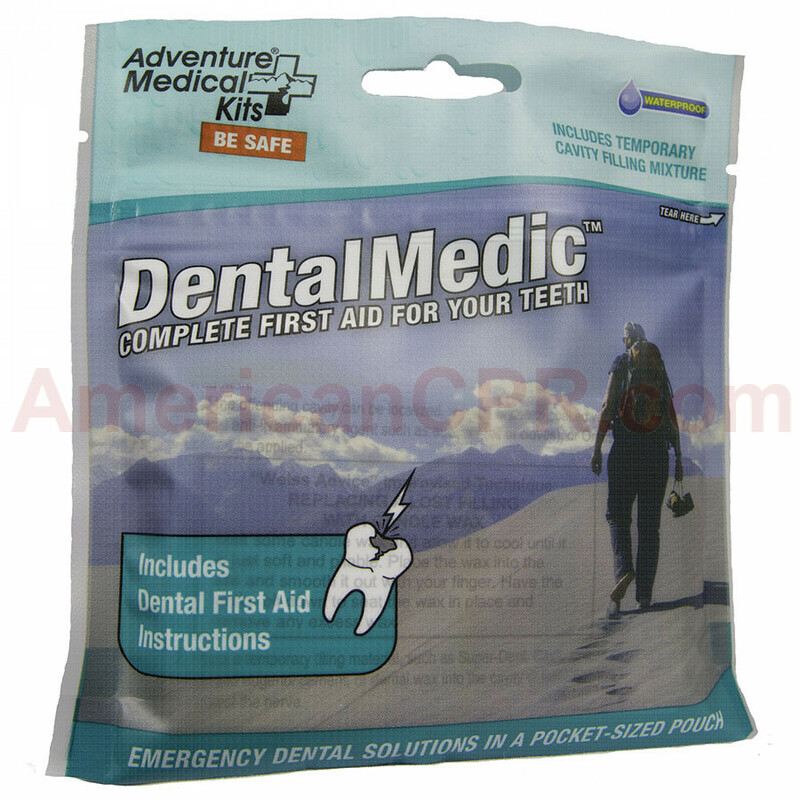 The Dental Medic contains the essentials for treating dental pain and injury when a dentist isn't available, from basic supplies like floss, cotton, and oral anaesthetic to more advanced components like temporary cavity filling mixture and dental wax. A must for any trip where access to a dentist may be hours or days away. 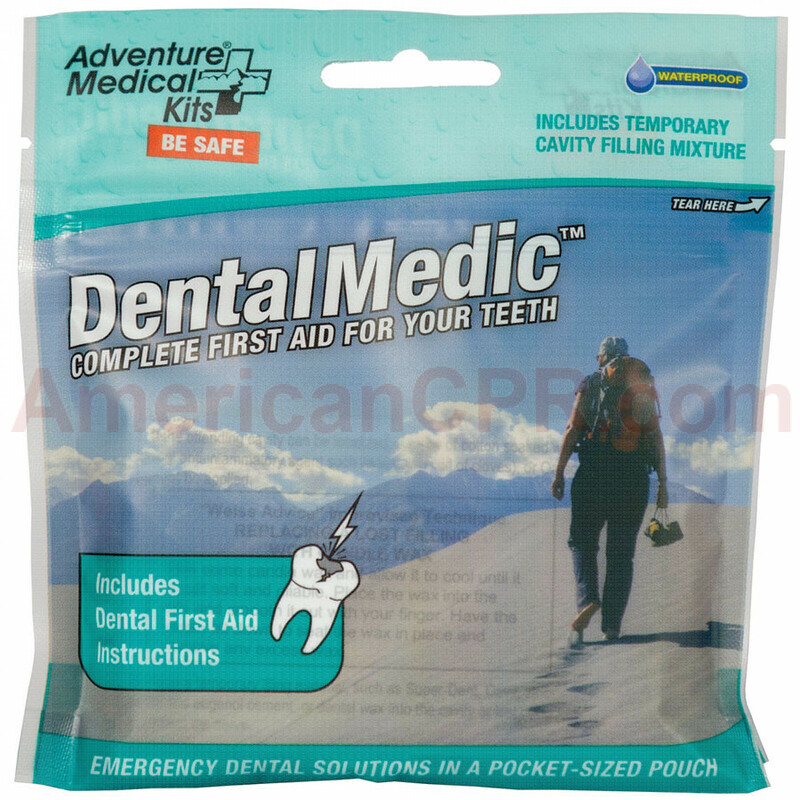 Each kit in the Medic series features proprietary DryFlex bags for the ultimate in ultralight, waterproof storage. 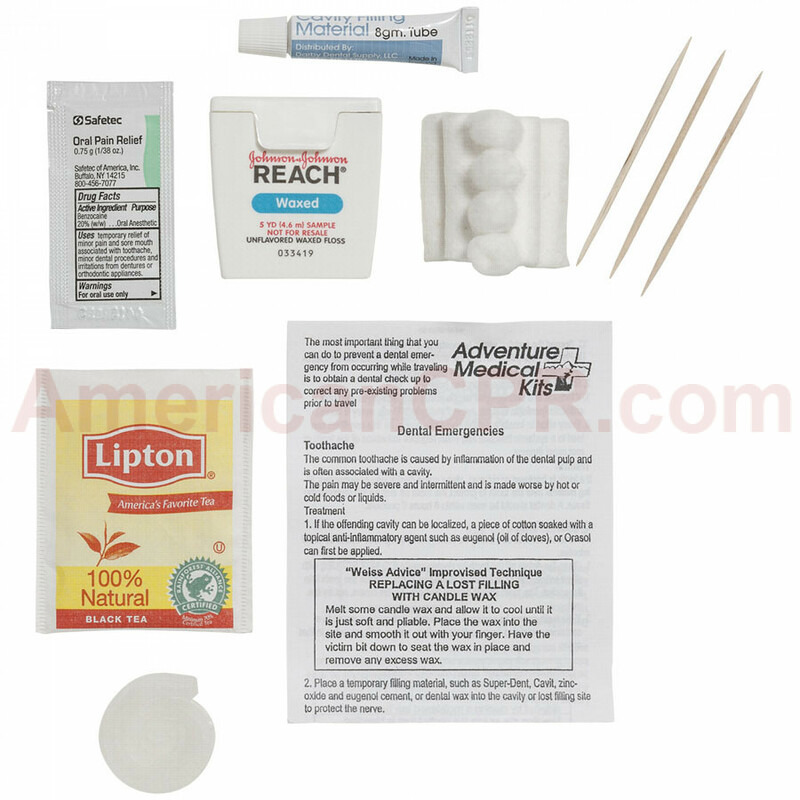 Adventure Medical Dental Medic - Adventure Medical Kits.